Although this update isn’t exactly new, we haven’t reported on the openings at the new Hyatt yet and they are great spots to have on your radar. Two restaurants opened in 2017 at the new Hyatt Regency Hotel- The Street Craft Kitchen and Bar and Morton’s Steakhouse. Both offer unique selections of food and libations. While Morton’s focuses on it’s award-winning steak dishes, The Street takes a new spin on street food by classing it up and making it more contemporary. 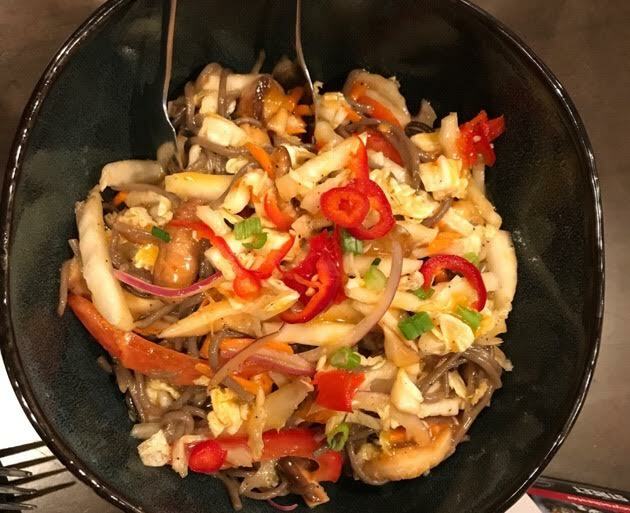 They recently hosted a ‘ROC Foodies’ tasting event and their Soba Salad (pictured above) was a unanimous hit. 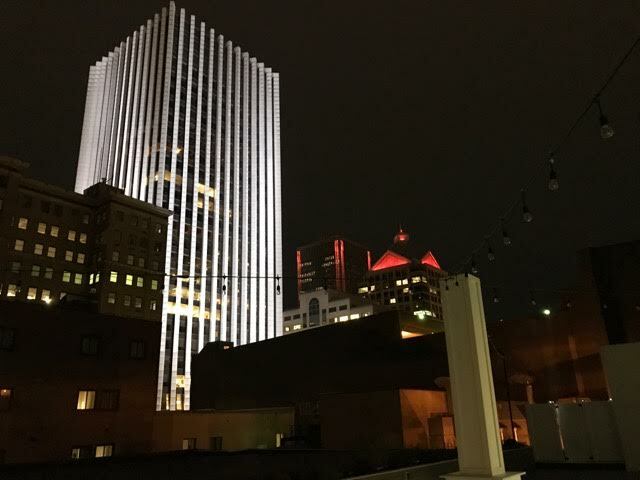 On the 4th floor, is Center City Terrace & Lounge which is a bar with an outdoor rooftop space and spectacular view. They also serve tapas style cuisine, but you’l need to wait until spring when it re-opens unless you are invited to a private event (its available for private events year round). Watch our video peek of Center City Terrace here. 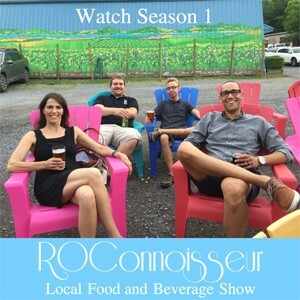 Living Roots Wine & Co. is Rochester’s urban winery and tasting room which opened in November 2017 on University Ave. in a renovated turn of a century-old industrial building. The beautiful space and great wine are bringing even more life to the already cool neighborhood. 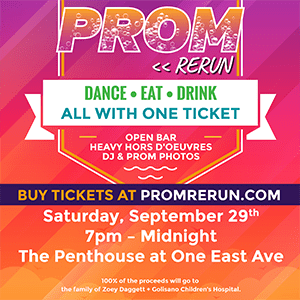 The building is across from the Revelry and houses a mixture of businesses as well as 17 loft-style apartments. 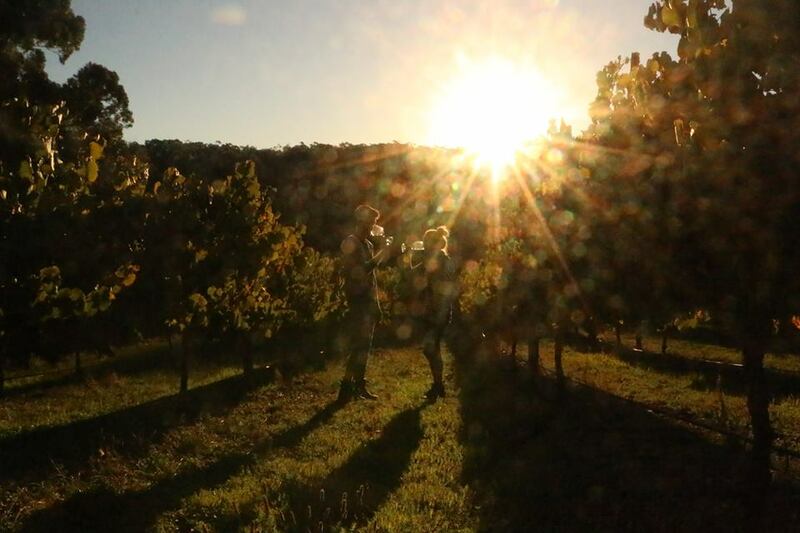 Living Roots is created by Australian couple Sebastian & Colleen Hardy who will be here in Rochester and The Finger Lakes 8 months of of the year, and January through April, they will be making wine in Australia to bring back to the States. Stop in for a taste of great wine and unique culture. Taisho Bistro Japenese Izakaya is a new gastropub that opened up in Henrietta in October 2017. 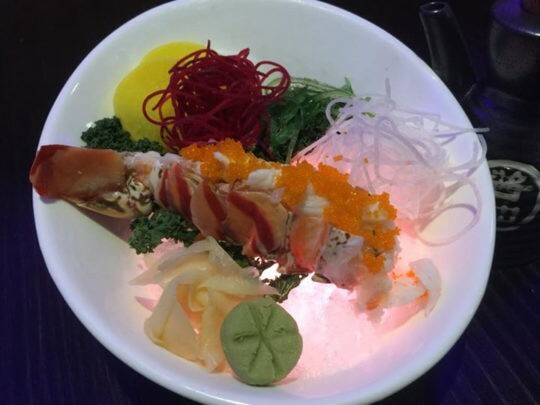 The menu is 100% Japanese and features a variety of sushi, hibachi, and yakitori (skewered) dishes. The items and style of restaurant is unique to the Rochester area and it looks to be a go-to spot for any Japanese cuisine that you may be craving. Naan-Tastic Indian Grill isn’t here yet, but the anticipation level for this new Indian restaurant has never been higher. 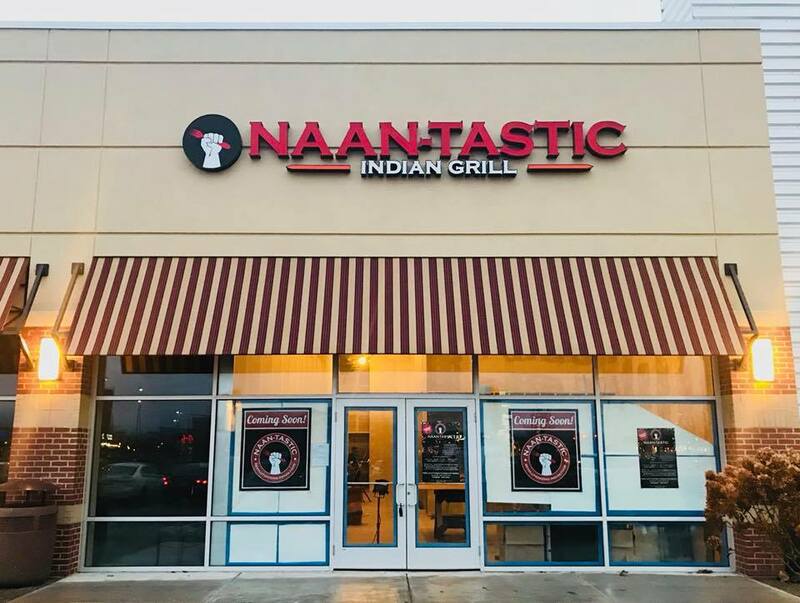 Located in Henrietta, Naan-Tastic is going to offer casual dining with a unique menu that is Chipotle-style. You order your dish and then add whatever ingredients you want to make it exceptional. They will feature their own version of a Taco Tuesday and offer their original Loaded Makhani Fries; exclusive to the restaurant. 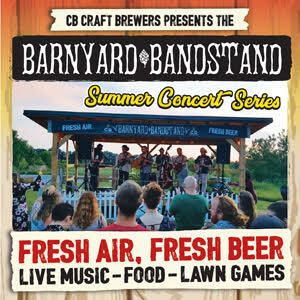 They will also be utilizing the Bottoms Up technology that fills up your beer glass from the bottom and gives you less foam. The restaurant was created by the owners of Thali of India and will also feature bowls and rolls with a diverse selection of meat, vegetarian, vegan, and gluten-free options. Naan-tastic is due to open up on February 1st, 2018. 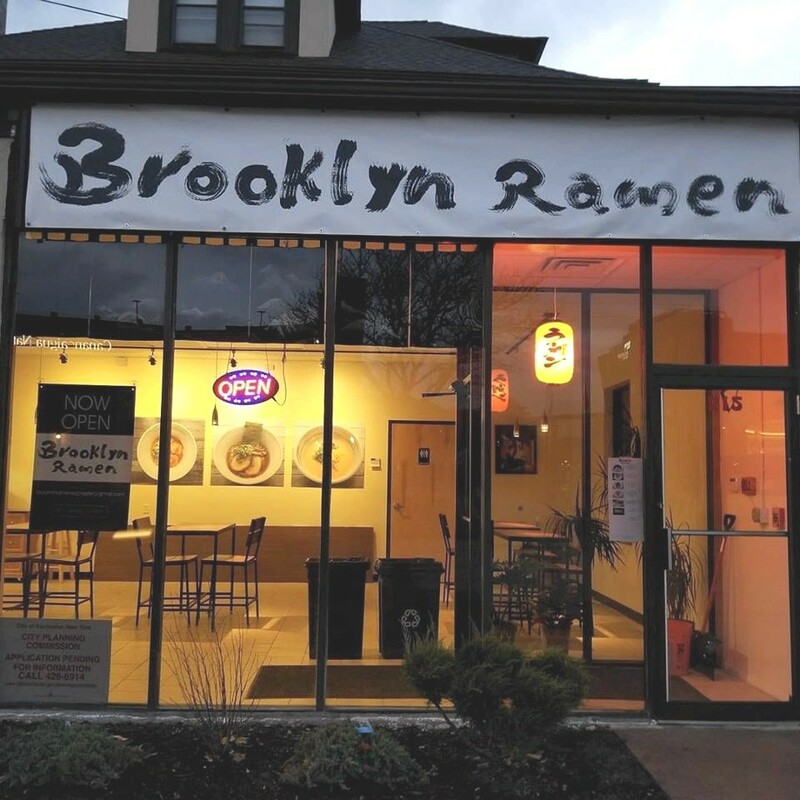 Brooklyn Ramen is bringing some NYC flavor to Rochester and Upstate NY with it’s authentic flavors of Japan. You may have thought of Ramen as simply being that food you ate in College in order to avoid asking your parents for more money. No longer is that true. Brooklyn Ramen is showing us that the dish can be done in an elegant way that appeals to vegetarians and meat eaters alike. Chef Michael Goode from Pittsford trained at the Brooklyn Ramen in NYC and brought his skills back to Alexander Street to open up his own restaurant. 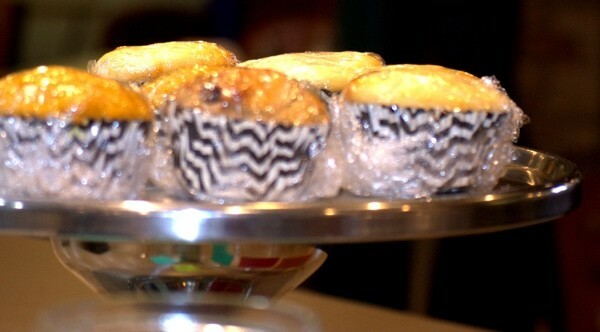 The offerings are hearty and inexpensive and a perfect way to warm you up this Winter. Their doors are open, so stop on by. 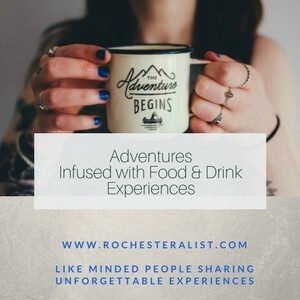 A new coffee shop and cafe opened up in Victor, NY. Christy’s Cafe was started by 22-year old Colgate University graduate, Christy Mills. She turned the old Fran’s Underground Cafe in the lower level of The Place in Victor Village, into a place of her own. With a laid-back atmosphere and variety of fair trade beans and food choices, it’s the perfect setting to relax and get some work done while drinking a good ‘ol cup of joe. Bar Bantam isn’t open yet, but we’re excited to talk about it nonetheless. The brainchild of Architect + Designer Mauro Cringoli, Lauren Gallina, Patrick Dutton, Rob Gallina, Designer Chuck Cerankosky and Evan Gallina; the team is bringing The West Coast to the East in a new way. Bar Bantam will be a 2,100 sq-ft facility that will have menus inspired by California cuisine. 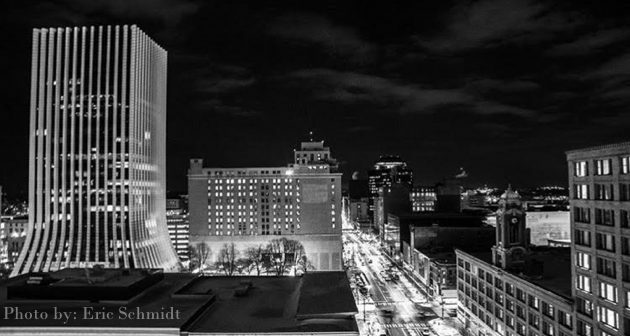 The full service cafe and restaurant will be opening on the first floor in The Metropolitan, and we couldn’t be happier for another unique destination coming downtown. Plans are to open in early 2018. We’ll be watching! In fact, this view is from Center City Terrace looking at the Metropolitan. There is so much new in 2018, this is a two parter. Read more of what’s new in 2018.